Classic Mattel's Toy set, He-Man and the Masters of the Universe is getting another live adaptation. The production team for the reboot movie of a cult classic, He-Man and The Masters of the Universe has everything they need, yet the modern adaptation of the film is still due for its filming phase. The Masters of the Universe reboot has had a fleeting set of directors and writers. At one point, David Goyer, the scribe from 2013, Man of Steel had also been reported as its writer (more on this down below). Besides, Goyer, there was also a script by Alex Litvak (Predators, 2010) and Mike Finch (Hitman: Agent 47, 2015). In addition, the film’s draft had also been written by Jeff Wadlow (the director of Truth and Dare, 2018) which was completed in late 2014 (though it, itself was a rewrite of a draft by Terry Rossio, the penman from the Pirates of the Caribbean franchise). Sony then again tapped another writer, Christopher Yost this time from the scrivener of 2017’s Thor: Ragnarok. One more time, in January the studio reported that the writer duo Art Marcum and Matt Holloway would rewrite the new version of the story. The pair also wrote the screenplay for the upcoming franchise revival, Men in Black: International, and has previously worked for the heavy franchises like Transformers: The Last Knight (2017), Punisher: War Zone (2008) and the Marvel Cinematic Universe launcher, Iron Man (2008). Goyer on the other hand who was originally pitched in for the directorial works has now been sidelined for the spot of co-writer as well as the exec producer. Apparently, the helmsman dropped out of the project to rather focus on his upcoming Foundation TV series for Apple. And now Goyer is succeeded by Aaron and Adam Nee who are especially famous for their feature films like The Last Romantic (2006) and Band of Robbers (2015). As for now, Sony has scheduled the film’s release date for December 18, 2019. Master of the universe movie may use their toys concept for the costume design. In the mythology, Teela serves as the titular member of the He-Man/MOTU and also is the love interest of Adam/He-Man. 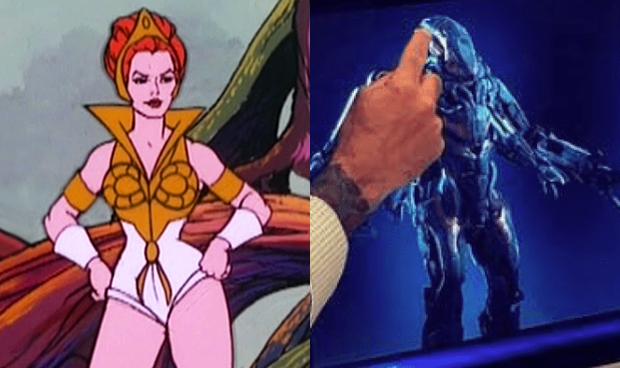 This particular gesture from Goyer could, in reality, may have no connection to the film whatsoever, but it appears that this “Battle Suit” could be a part of Teela’s arsenal at some point in the film. 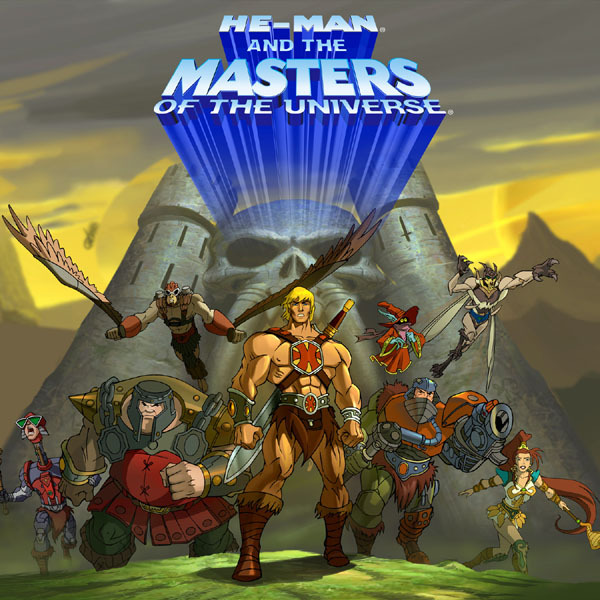 While the image appears to be major art drawn directly from the franchise, the film may also introduce the otherworld’s battle attire and weaponry—a case which has been showcased in several TV projects of He-Man. Back in 2015, when a fan teased the co-producer, Devon Franklin regarding the film’s box-office forecast, the director responded of it being quite a propitious project something that may enjoy the success of James Gunn’s Guardian of the Galaxy franchise. At the same time, Franklin had also dropped some Battle Cat concept art from the upcoming film. 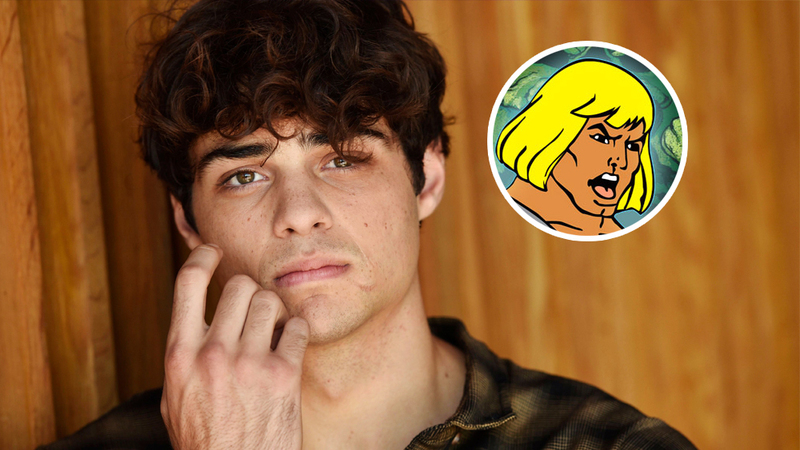 Noah Centineo is in talks to play Adam in He-Man and the Masters of the Universe. The casting directors took an annoyingly long time to fill the slot of MOTU’s main leads, but now the line-up is looking quite fulfilling. A few days earlier, To All The Boys I've Loved Before star Noah Centineo was in talks to play the main character, Adam/He-man. Before Centineo, way back in the McG days, the director initially had their mind set on The Legend of the Hercules (2014) star, Kellan Lutz for portraying the muscular and blond haired alter ego of Adam. Recommended: The Official Avengers: Endgame Plot Synopsis is Finally Here! Upon the very idea, McG said "I like Kellan very much. Obviously, we need a talented entertainer, but we also need a certain physicality, which he embodies. He'll be considered very, very closely...we had a great meeting, and he's passionate about He-Man, he's passionate about the Adam story." During the same extravaganza, Lutz also had his similar excitement dropped on his social media. Had an amazing meeting with @McGsWonderland and @ItsMaryViola talking MOTU! 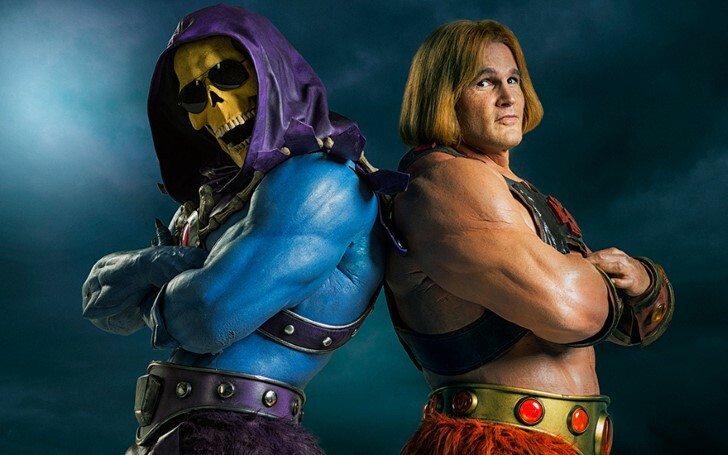 At the same time, it was rumored that the film’s premise could possibly depict He-Man and Skeletor as brothers, rather than a nephew and uncle. He-man and the Masters of the Universe may add up one of the storylines from one of its previous tv projects. Back in time, when McG was still around, the studio had originally thought of making He-Man movie as an origin story where they had said: "It's the genesis of He-Man, it's the becoming of He-Man." The studio had also confirmed in addition to He-Man and Skeletor, other characters like Battle Cat and Evil-Lyn would appear in the movie, and that the story will be set primarily on Eternia. Though the production team did mention much, a rather obscure piece of He-Man mythology "Earth is mentioned, as Earth is a part of the lore” is likely to be inducted into the next live adaptation. This would particularly mean a deleted scene from a draft in the first Masters of The Universe movie would be covered in the rebooted movie where fans can expect to see a possible narration of Eternia being colonized by Earth ’s astronauts in the distant past. Masters of the Universe is set to start its filming in the mid-July of this year.